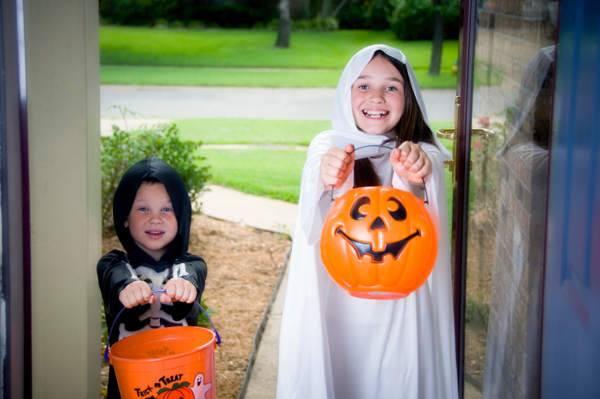 Do you miss trick-or-treating? I totally do. Since it was our last year trick-or-treating, we knew we had to strategize carefully in order to make the most of our final escapade. We shaped our route very cautiously so as to ensure it included families we knew and houses we heard gave out full sized candy bars. After we had pranced around several neighborhoods, it was getting close to bedtime. We decided to end with one last spooky street that was home to an employee from our elementary school. Rumor had it she was distributing king sized Symphony bars. Talk about awesome! But even the sheer wonder of that vast quantity of chocolate is not the thing that sticks out in my memory the most. Next to the generous candy donor's home was a continuous row of houses with their porch lights shining brightly. Figuring we had hit the junk food jackpot, my friend and I continued to frolic from door to door. After receiving several successful additions to our bag of sugary loot, we went up to one last house. We rang the doorbell. And waited. "Maybe we should try knocking again." My friend said. "I can hear their TV on. Maybe they just can't hear us over their movie." Figuring this seemed like a logical explanation, we solicited the quiet house once again. Finally, a tired, annoyed, and rightfully grumpy woman came to the door. "What are you girls doing? Can't you see my porch light isn't on?" she growled. As if on cue, my friend and I lifted our heads toward the black night sky and realized something-- it was a black night sky. The woman's light was not on. In our candy induced jubilee from house to house, we had failed to notice that this home had broken the chain of lit porch lights. 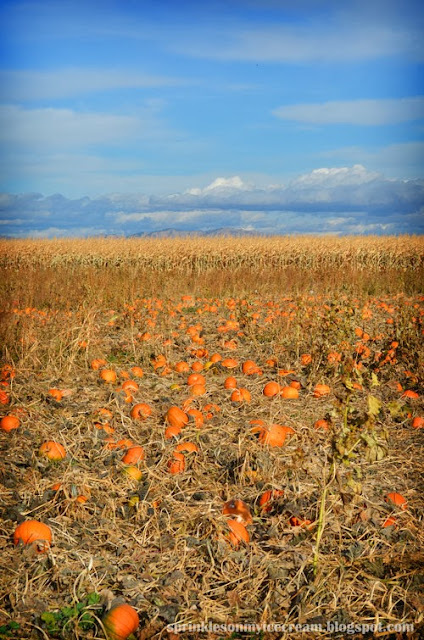 As embarrassing as this experience was, I'm really thankful for the lesson it taught me. I think that talking to people can be a little bit like trick-or-treating. Sometimes conversations can be really sincere and encouraging. However, other times I think people have their personal porch lights turned off. For example, have you ever talked to someone who doesn't really listen but instead gives you that glazed over look with an occasional nod or uh-huh? Ever tried to have a conversation with somebody who can't get off their phone? Or have you ever really needed to talk to someone only to find that everybody is too busy to "open their door" and listen to your concerns? Even though some people leave their figurative porch lights turned off, Heavenly Father's is always on. 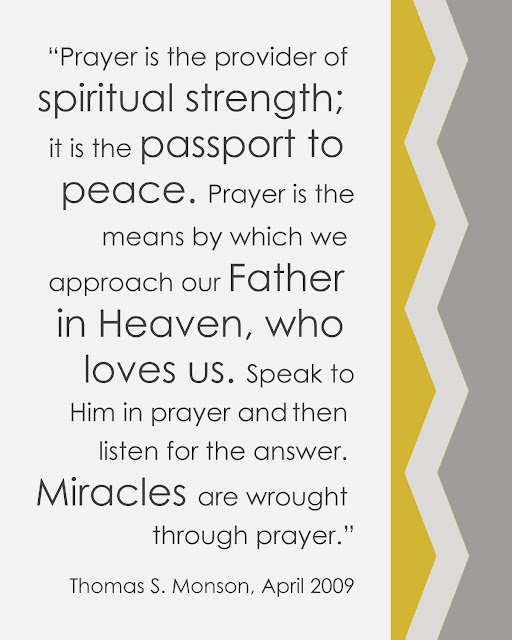 As His children, we can pray to Him any time, in any place, about anything. He turns no one away. His door is open for all to come and partake of blessings that are infinitely better than candy. To each of us He offers His unconditional love, lasting peace, and true joy. Heavenly Father is always there for us. His porch light is always on. 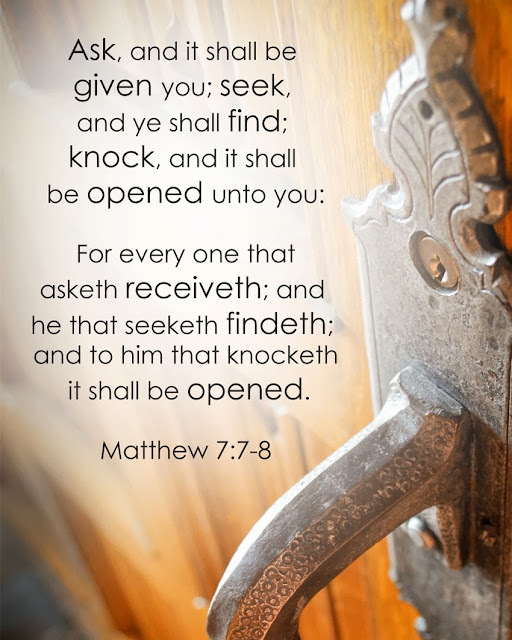 We just need to come unto Him and "knock". Let's wrap things up [candy wrapper pun not intended] with a quote from President Monson. 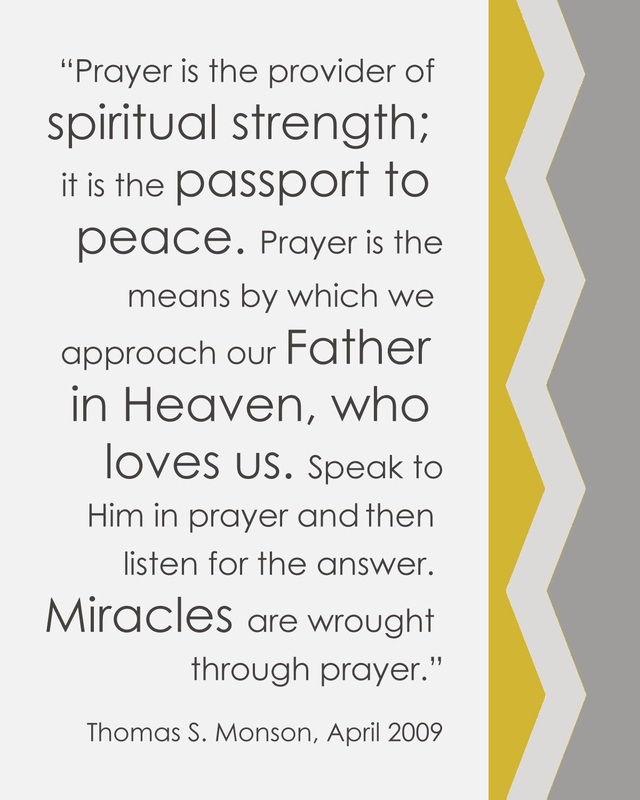 I know that the power of prayer is real. It has blessed me so much in my life. When I feel like no one cares or will listen, it is so comforting to know that He does care. He wants to listen. He hears and answer us. It's not always in the ways we want, but he always answers exactly how we need. Don't be afraid to go up to His door and knock. He won't turn you away. One thing I love about the Savior is that he reaches out people individually. Throughout His ministry, we find countless examples of Him asking questions, listening, and taking genuine interest in people's lives. He took the time to speak to the woman at the well, even though she was a social outcast in her village. He wept with Mary and Martha when he learned that Lazarus had passed away. To Mary Magdalene on that first Easter Morn, he tenderly asked, "why weepest thou?" And the list could go on and on for ages. Even though I'm obviously not as good at serving those around me as Christ was, I know there are some simple ways that I too can make a difference in the lives of others around me. One of the service opportunities that I think we miss the most is giving the gift of conversation. Throughout school, church, socials, and frankly most of life in general, opportunities to reach out and talk to people abound. However, starting conversations can be quite the adventure. Sarah: So, I heard you like pineapple on your pizza? I too enjoy fruit on my savory slice of pure heaven. Question: Do you know much a polar bear weighs? Answer: Just enough to break the ice. People love talking about themselves. It takes some courage, but being brave enough to ask a couple of simple questions can open doors to lots of new friendships. - What's your favorite kind of ice cream? - What are the top 3 things on your bucket list? - If you could choose between being a squirrel or a rabbit for a day, which would you choose? - If you could be any Disney Princess, which one would you be? See how fun it can be? Don't be afraid to reach beyond the normal monotany and create some of fun questions of your own. You might just be surprised at the interesting answers you receive. Use your surroundings. Talk about the math test next week. Ask about the weather. Discuss the flock of oddly aggressive ducks that has invaded the walking path. You get the idea. "I really like your hair! How did you get it to stay in that bun so nicely?" "Wow, you are great at drawing! Where did you learn how?" "That's a really nice book you've got there. Do you like to read?" Even if it's as small as starting a conversation with someone who is lonely or down, your efforts will make a difference. 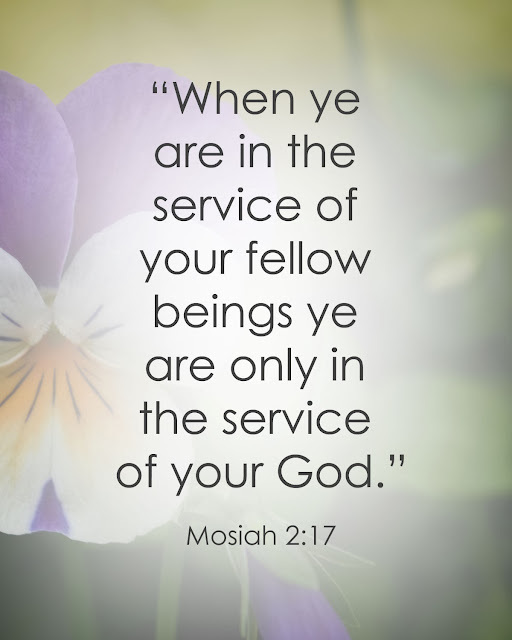 You are on the Lord's errand. He will help and guide you. So get out there and start some conversations! You never know what awesome things might come to pass as a result. I love Vocal Point, so naturally I was thrilled when they released this new video showcasing one of my all time favorite songs. The message of the lyrics is fabulous, and hearing the song sung by this fabulous group makes it even better. Last night I was listening to my LDS Hymn's station on Pandora radio when a sweet piano melody caressed my tired ears [wow, that was really cheesy imagery. Sorry guys! :D] Seriously though, I knew Jon Schmidt was talented, but the moment I heard this song I knew it was one I was going to love. New spins on classical songs are always the best, aren't they? I remember my Mom used to play this song on our way to my middle school. While I didn't appreciate the meaning of the song then, I'm really glad that I know the lyrics now. This song has really helped me through some hard times. 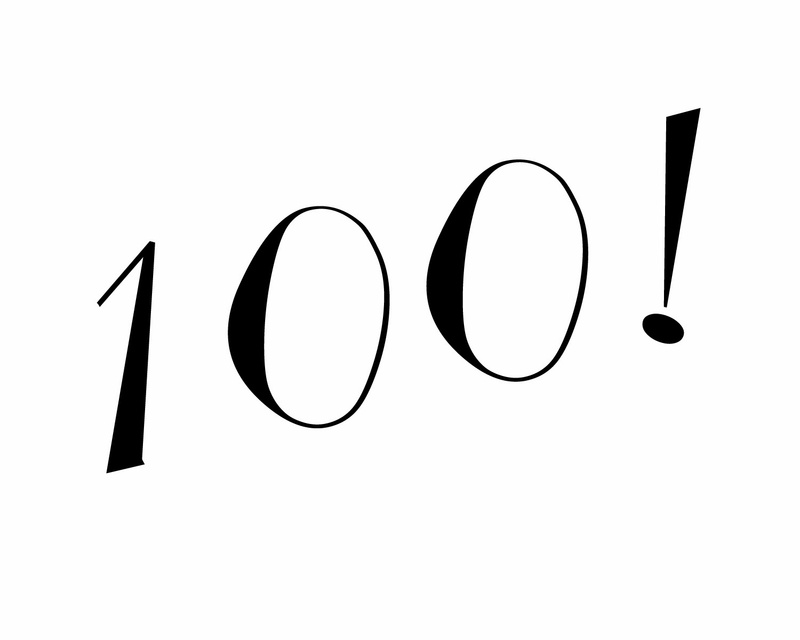 We've hit the big 100! No, I'm not 100 years old and I don't have 100 pet butterflies [although that might be pretty cool]. This is the 100th blog post on The Sprinkles on my Ice Cream Blog! I'm as happy as this ridiculously cute doggy. 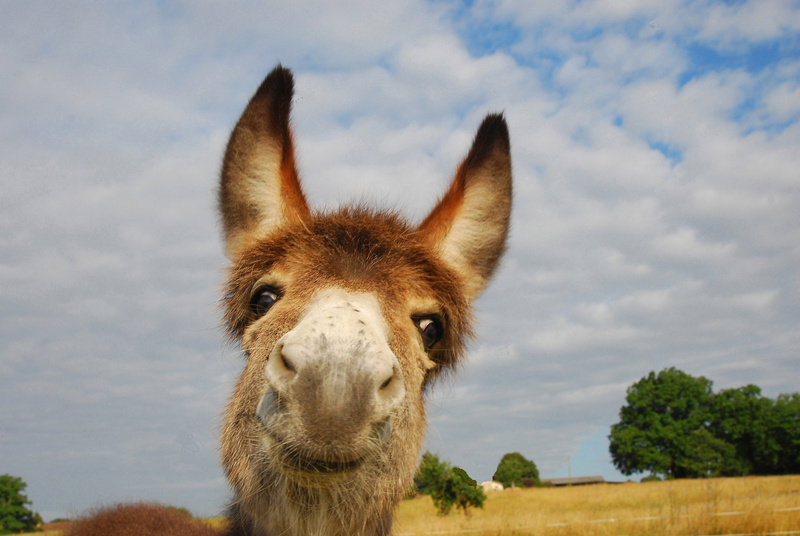 Or this llama [who I think is more photogenic than me]. I think this calls for celebration. Besides celebrating with ice cream [and yes, I ate it out of the carton], I thought it would nice to do a special post-- one that is long over due. Hello there. My name is Sarah. We've been chatting for a while. You know my name. You've probably figured out that I love ice cream. But other than that, I haven't been the greatest at introducing myself. When I first started writing this blog, I was worried that if I showed too much of my personality, people wouldn't listen to what I had to say. However, I've learned that authenticity and honesty is more important than being cool [and more fun! You should see how stuffy some of my posts were in the beginning...trying to act all grown up when you're a teen is pretty rough]. For this official introductory post, I could write 100 things about myself, but that seems like a little much. I will spare you the agony [your welcome], and instead do a list of six random facts about Sarah [that you may or may not want to know] since the blog has been up for six months now. 1. I am a Mormon. As a member of the Church of Jesus Christ of Latter-Day Saints, I believe that we are literal spirit sons and daughters of God. Because he loves us so much, He sent His son, Jesus Christ, to die for us so that we can return to live with Him someday. The gospel is my strength and my foundation. It is the center of my life. I will forever be grateful for the joy it brings to me. 2. I am a Teen. I go to high school, eat pizza, cry over math homework, and occasionally run over curbs [learning to drive is quite the process ;)]. I also listen to lots of Disney Channel music [well, this makes me sound like a pre-teen... Maybe I should acquire more mature music taste. haha]. I'm in leadership for a business club at my school and find myself at home in art class. And I love Seminary. 3. 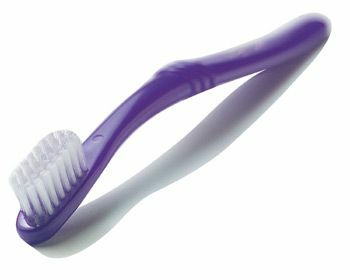 In case you were wondering, my toothbrush is purple. [True story. I even went into my bathroom and checked]. 4. I'm not one to follow typical trends. 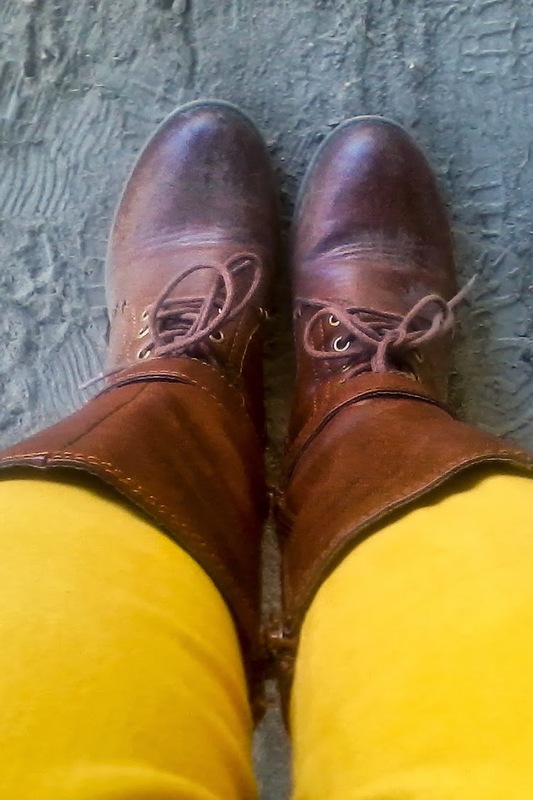 I'm the girl who wears her hair curly, owns orange and yellow pants [and wears them as often as possible], doesn't go to parties, spends a little too much time on homework, and can be found jumping down the stairs instead of walking like a normal person. But I'm okay with that. 5. 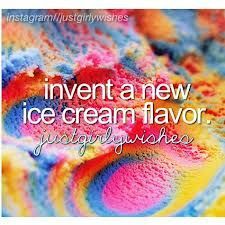 Before I die, I want to invent my own ice cream flavor [big surprise there. haha], write a book, obtain a doctorates degree, and go on a vacation to some random place with no obligations other than taking photos for hours on end. 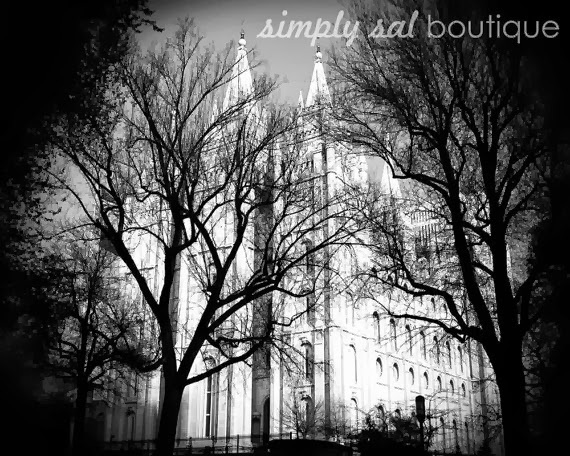 I also think it would be cool to visit and do a photo shoot of at least 50 different temples. Happy 100 posts! Here's to 100 more. I absolutely love music. It has a beautiful way of bringing the influence of the Holy Ghost into a meeting faster than almost anything else and in a way that everyone can understand and relate to. I firmly believe this is true. Singing hymns in church helps me prepare for the spiritual messages I'll be receiving. In fact, it's one of my favorite parts of our worship services. But what do you do when you're on the other side of the piano? It's the obvious command that makes every student cringe, but the most helpful thing you can do is practice the songs you are going to play. When you are accompanying a congregation, you're going to have a lot of distractions [think following the chorister, keeping up with the singers, etc.] that make it hard enough to play comfortably without worrying about missing notes or scrambling for the right key. So do yourself a favor and prepare in advance as much as you can. I know in my Young Women's group, pianists often don't take advantage of playing the prelude music. Prelude is awesome because it lets you dip your toes [ahmm... piano fingers] in the water and get a feel for playing church songs in front of people without worrying about others singing with you. It's also a great way to warm up and get a feel for the piano. Playing the introduction to a hymn takes congregational singing from a disorganized scramble to a classy event. But trust me, I know as well as anyone how hard it is to find those little brackets that tell you what measures to play and how choppy playing the intro can sometimes feel. One thing that has helped me a lot is making a habit to play the introduction every time I practice a hymn, even if I'm just at home and no one is singing with me. It feels a little weird sometimes, but it has made it a world of difference. 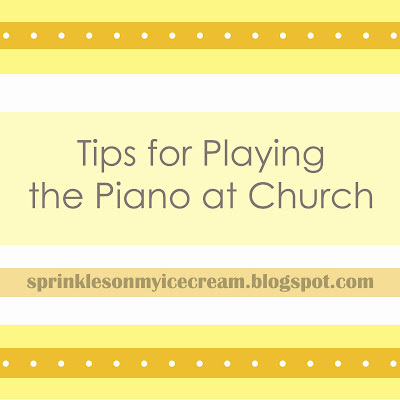 When I first started playing the piano in church, my feet and hands would tremble uncontrollably because I was so terrified. The best and probably most difficult lesson I have learned [and am still learning] is not to be afraid. Remember that everyone makes mistakes, especially when they first start out. There is no shame in that. Just hold your head high, and keep going. 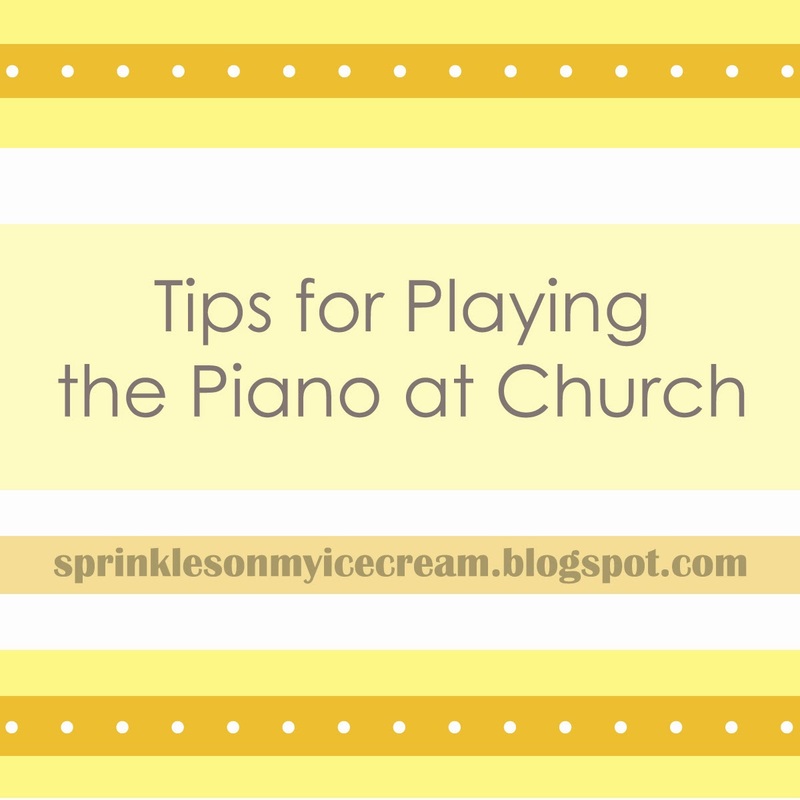 Skip that note, just play the top line, or hit a few wrong notes, but do whatever you can to keep up with the congregation. They won't stop singing just because you missed a note, and chances are they won't even notice that you made a mistake. You are on His errand. As you turn to Him and trust Him, you cannot fail. He can make all of our weakness strong-- even shaky fingers and stage fright. So fear not and play away. To organists and pianists everywhere, I express my thanks, gratitude and appreciation. The work that you do does not go unnoticed. It adds a wonderful dimension to all of our meetings. It's funny how we don't realize how nice something is until we don't have it anymore. 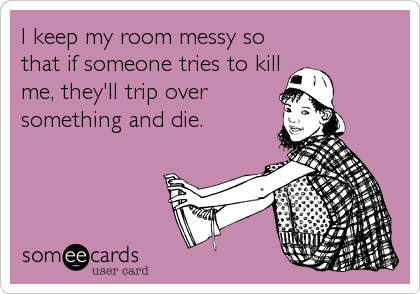 For example, it is easy to forget how good it feels when your room is clean until it's messy. And speaking from my experience this week, it's easy to forget how lovely it is when your eyes work without hurting until you wake up with your left eye swollen and throbbing like a bruised banana must feel. This Wednesday, I woke up with a horrible pain in my left eye. When I looked in the mirror [always a scary thing to do in the morning], I was extra startled to see that my eye was even more puffy than usual. My eyelid hurt like no tomorrow [I didn't even know my body had nerves there!] and it felt like a giant rock was stuck in my eye. The logical thing to do in this situation is to call the doctor. But, I have a confession: I really dislike going to the doctor. Especially the eye doctor. Bright lights aimed at my face and being commanded to read random letters in the alphabet until my head aches isn't exactly my cup of tea [ahmm, I mean hot chocolate] if you know what I mean. I had a bunch of things I needed to get done that day and was having a mini panic attack about going to the doctor, so I begged my Mother to just wait one more day until she made an appointment. Perhaps my eye would miraculously heal and everything would be fine. But, thankfully my sweet Mom had felt a prompting from the Holy Ghost to take me to the doctor and thus resisted my woeful murmurings and called anyway. Boy, am I thankful. 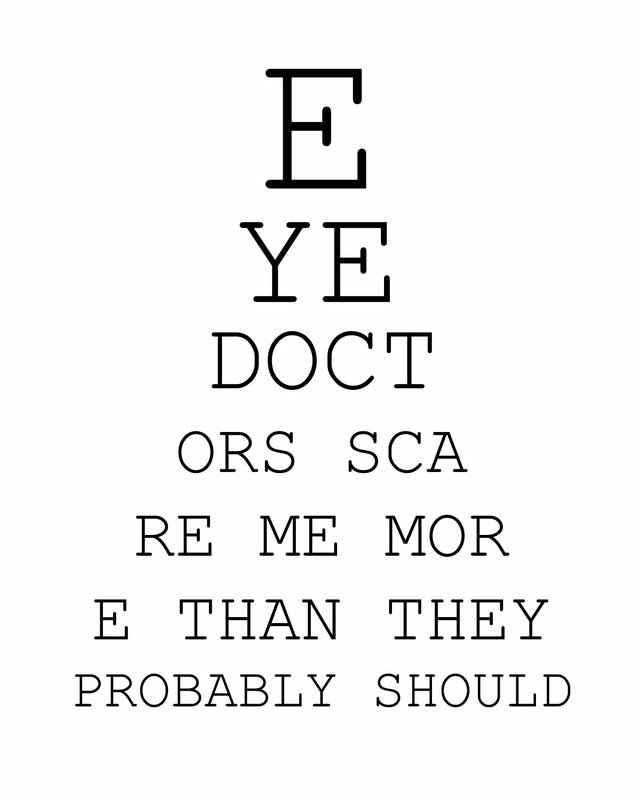 Upon examination, the doctor concluded that I had a huge stye in my eye. Basically, it's a clogged oil pour in your eyelid [I know...I had a pimple in my eye. Gross!] 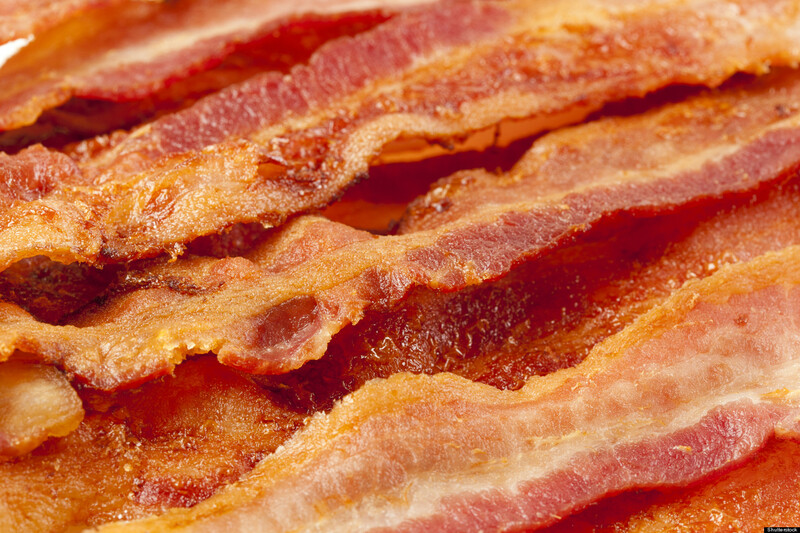 that swells up and causes a lot of irritation and swelling. 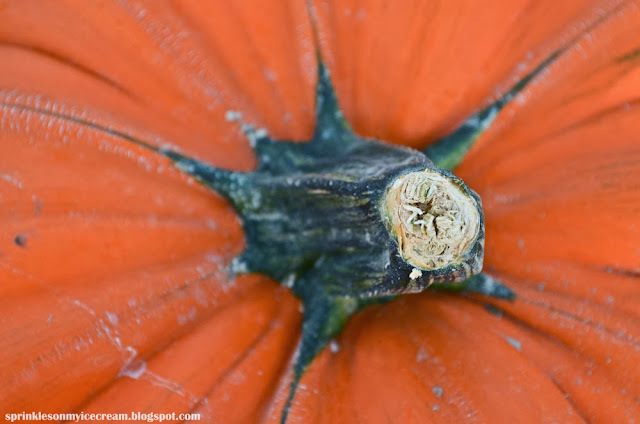 They're usually harmless, but in some cases they can get infected and since your eye is so close to your brain, the complications can be serious. The doc sent me home with some antibiotic eye drops and instructions to use a warm compress to reduce the swelling. I used the drops, and was extremely grateful when my eye hardly hurt at all the next morning. But, the scary thing is, since the eye drops worked so quickly, it means my eye was infected. Had I waited much longer to go to the doctor, things could have been a lot worse. So, can the story of my doctor phobia and the stye in my eye [ha! It rhymes] tie into the gospel? You betcha! As extremely thankful as I am that my Mom was able to listen to the promptings of the spirit and get me the help I needed, I feel ashamed that I let fear, anxiety, and my busy schedule get such a hold on me that I didn't receive or heed the promptings myself. This experience really got me thinking. Am I missing out on the promptings of the spirit in other areas of my life? Because heeding the promptings of the Holy Ghost is so central to our Father in Heaven's sacred work, it is vital that we do not become "blind" to the whisperings of the spirit. "I fear that some members of the Lord’s Church “live far beneath our privileges” with regard to the gift of the Holy Ghost. Some are distracted by the things of the world that block out the influence of the Holy Ghost, preventing them from recognizing spiritual promptings. This is a noisy and busy world that we live in. 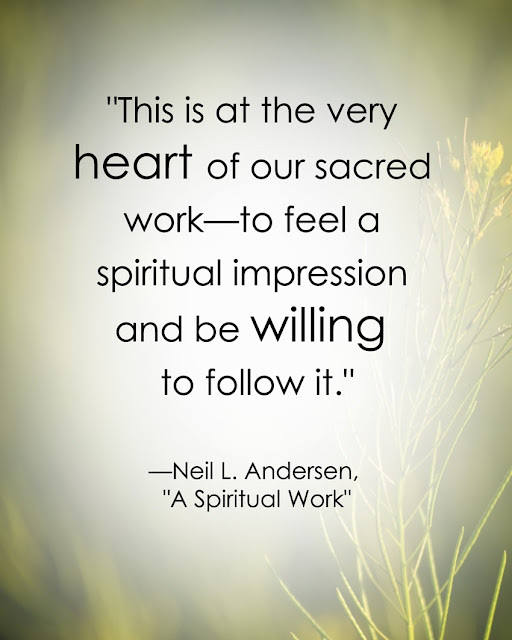 Remember that being busy is not necessarily being spiritual. If we are not careful, the things of this world can crowd out the things of the Spirit." "If they would open their hearts to the refining influence of this unspeakable gift of the Holy Ghost, a glorious new spiritual dimension would come to light. Their eyes would gaze upon a vista scarcely imaginable." It is so easy to become busy, scared, and stretched all too thin in this crazy world. But I know that as we make time to stay close to the spirit our lives will be enriched and as Elder Faust said, "a glorious new spiritual dimension [will] come to light". Let us ever be mindful of the voice of the Holy Ghost. The obvious assumption one would most likely make upon hearing this teasing expression is that I have a long neck. Unfortunately, my neck is quite short and squatty, so guess again. 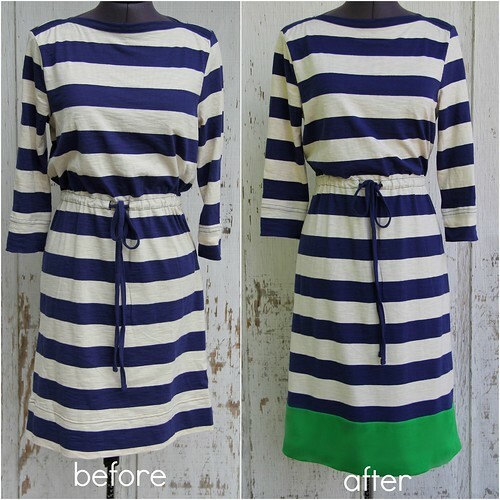 Color blocking is a super huge trend right now, and Kristina's tutorial on using this technique to lengthen a dress is great! I have a slip very similar to this one made by Jen at iCandy Handmade. It makes dress shopping so much easier. 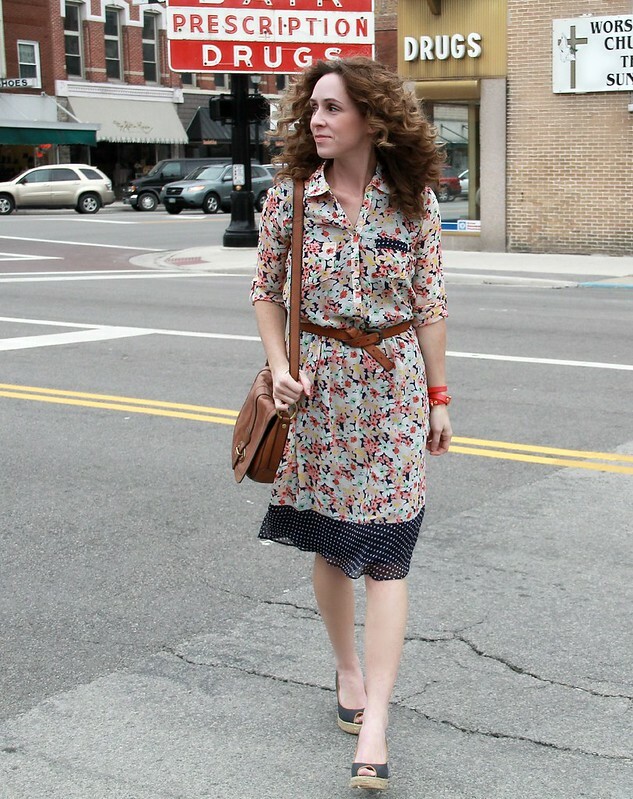 Not only is it convenient to style and easy to make, but it's also very classy and stylish. Yay for lace! 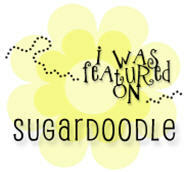 :) Read Jen's awesome tutorial, here. And what's not to love about ruffles, especially when they are covered in polka-dots? Find out how to make your own in this awesome tutorial by Kristina at Clothed Much. What do you do to make your skirts and dresses modest? I'd love to hear your suggestions! Have a wonderful Friday, everyone! Anyway, a few weeks ago, I was happily listening to a variety of musical wonders when a compltely unique sound filled my ears. It was a familiar pop song with a delicously different acousitic twist. So I gave the song a thumbs up and was pleasantly surprised when more songs came up by this same group-- Anthem Lights. This Christian band based out of Nashville has done some amazing things, but their covers of pop songs are some of my favorites. Through subtle vocal harmonization and intricate guitar and piano accompianments, old songs are given a fabulous new sound. Their cover of Give Your Heart a Break by Demi Lovato is one of my favorites. Check it out. I have a feeling you'll like it. Despite it's complete adorableness [is that a word? ], the message of the quote is definitely what spoke to me the most. Are our hearts a holy place? Are my negative thoughts about myself keeping my heart from being a holy place? I'm known for being a pretty happy person. I love to smile and can often be found laughing my head off at some random daily occurrence. But even though I seem happy and content on the outside, I am often very displeased with myself on the inside. In summary, I guess I'm pretty good at dishing out huge scoops of charity for others, but when it comes to me, somehow the figurative ice cream carton of compassion runs short. One of the most Holy places I can imaging ever standing in is in the presence of my Savior, Jesus Christ. If the Lord were to come and speak to me, do you think he would go on and on about how my nose isn't straight and my hair is frizzy? Would he mock me because I tripped on the escalator today? [You should have seen it. The clumsy parody of a ballerina pirouette I performed in an effort to avoid a noisy fall was pretty epic.] Would Christ love me any less because I'm not popular? Since I mess up sometimes? Because I'm not perfect? The fact is, as long as I try my best to be a righteous person and repent when I make a mistake, the Lord will accept my efforts. Measly, meager, and misfit as I might see myself, His grace is sufficient. He who knows all my fears, doubts, insecurities, and awkwardly embarrassing moments loves me. So maybe it's time I learned to love myself. It's okay if I'm not perfect today. I'm on the right path, headed in the right direction. Yeah, I may be awkward, say dumb things on a daily basis, goof up, slip up, and mess up, but what matters in the end is what Heavenly Father thinks of me. And you know what? He love me, and He loves you too. It's time for us to start being a little less hard on ourselves. I'm not saying we don't need to repent or that the atonement isn't necessary. It is more than necessary. In fact, it is vital. But maybe as Christ is so willing to forgive us, we could start learning to forgive ourselves. Are you with me? 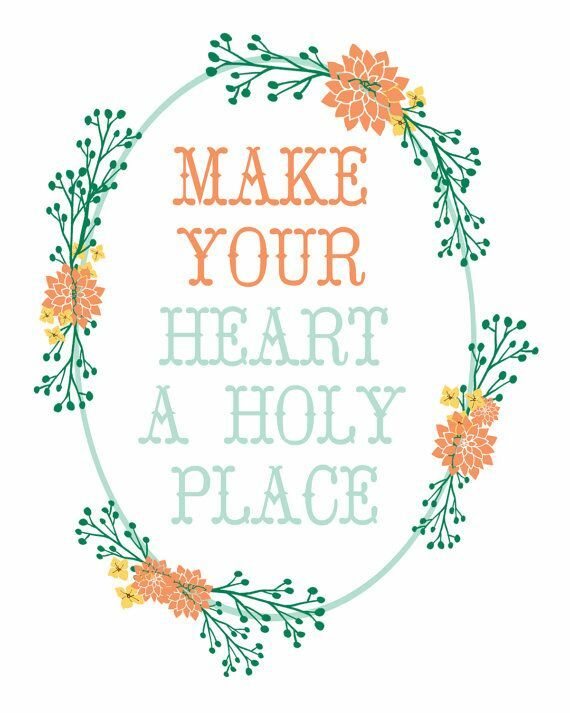 Let's make our hearts a holy and uplifting place to be for everyone, including ourselves. Thick ones. Thin ones. Electronic versions. Paperbacks. Hardbacks. Historical fiction. Fantasy. Sci-fi. Jane-Austen re-makes. 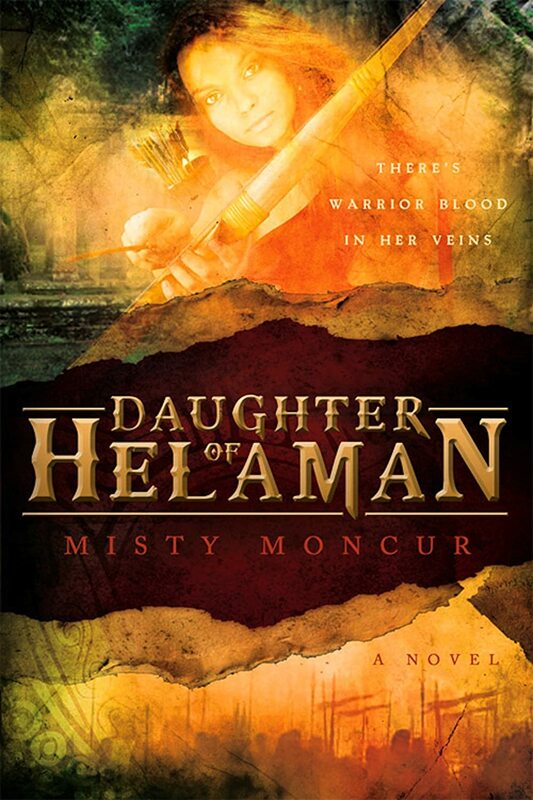 But in all seriousness, Daughter of Helaman by Misty Moncur is hands down one of the best books I have ever read. It's a perfectly awesome combination of two of my greatest loves-- Mulan and Book of Mormon. The story follows Keturah, a fifteen year old Nephite teen who temporarily forgoes typical traditions of housekeeping and homemaking to secretly train for battle. Taking place during the time of the stripling warriors, the novel details Keturah's experience working with the young men and the hardships they faced as they sacrificed to protect their families. What I loved most about the book was the historic and cultural knowledge I gained while reading it. While of course Keturah is a fictional character, Misty Moncur really made the Book of Mormon come alive. I always thought I knew the story of the Stripling Warriors, but this book personified it for me. I learned so much about how the Anti-Nephi-Lehies lived and what their lives were like. I really feel like I understood their fears, hopes, and dreams in a very personal manner. 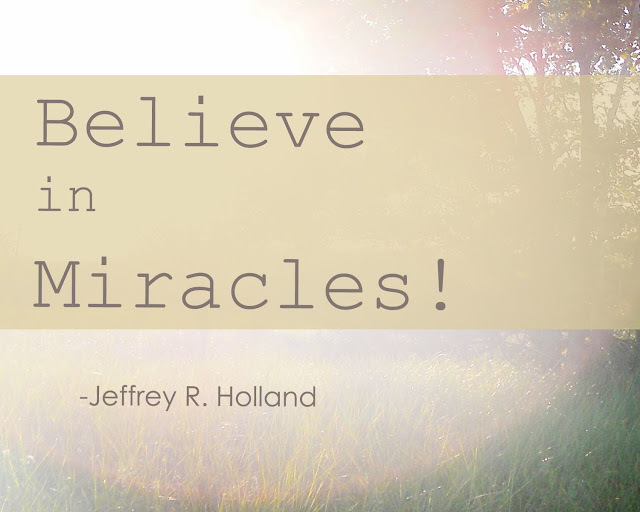 The stripling warriors became real to me, the story astounded me, and my testimony of the Book of Mormon grew leaps and bounds. 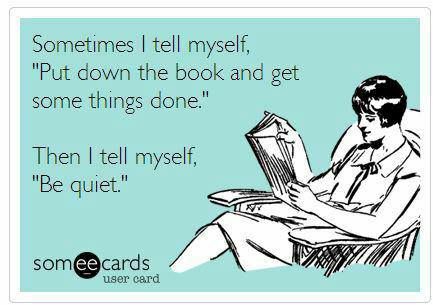 If you want a book that will keep you on the edge of your seat [or bench, couch, bed, or wherever you read...just don't read on cliffs or you might fall. :P], wraps you into the story, boosts your testimony, and helps you fall in love with the Book of Mormon, this novel is for you. If my persuasion was persistent and powerful enough to convince you of the wonders of this amazing story, you can purchase the book for yourself on Amazon, here. For example, take the ever popular glasses and mustache combo. Quite lovely, eh? And what's not to love about Chef Goofy at Disney Land? 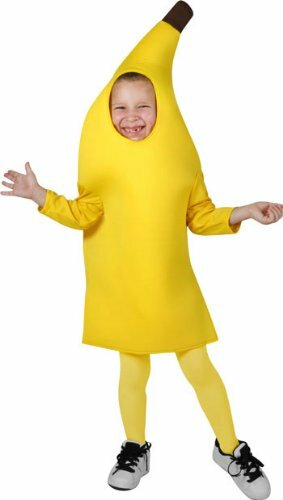 Well, apparently this kid thinks there might be something questionable about the friendly character, but that's besides the point. 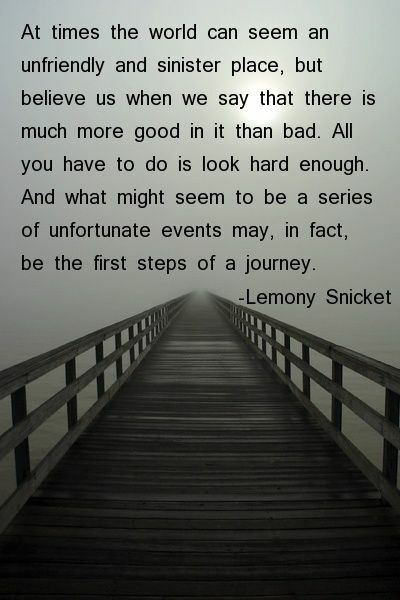 It's a fact of life-- hard times are going to come upon all of us. 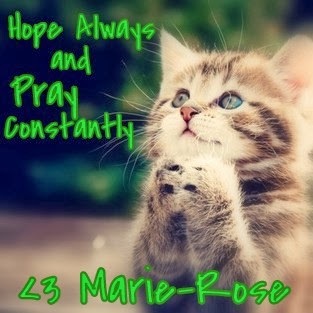 How do we maintain a positive attitude through it all and have the hope we need to endure patiently to the end? Something that helps me tremendously is focusing on what I can learn from the hardships I face. I love what Laura Story says in her song, Blessings. I have found this to be so true in my life. Even when blessings come in the form of raindrops, hurt, and trials, every single challenge given to me ends up shaping me into a better person and preparing me for what the Lord has in my path. 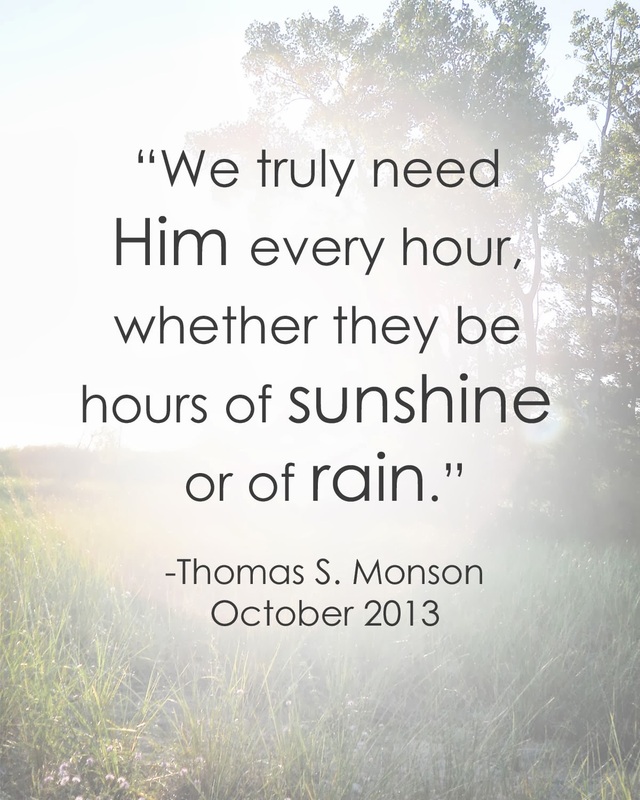 I love this quote from President Monson's talk in General Conference yesterday. So what if, as Laura Story says so eloquently, our blessings really do "come through raindrops" and our "healing comes through tears"? "What if a thousand sleepless nights are what it takes to know [he's] near? What if trials of this life, the rain, the storms, the hardest nights, are [his] mercies in disguise?" Are we missing out on amazing blessings because they come to use dressed in a disguise so overwhelming we fail to acknowledge them? 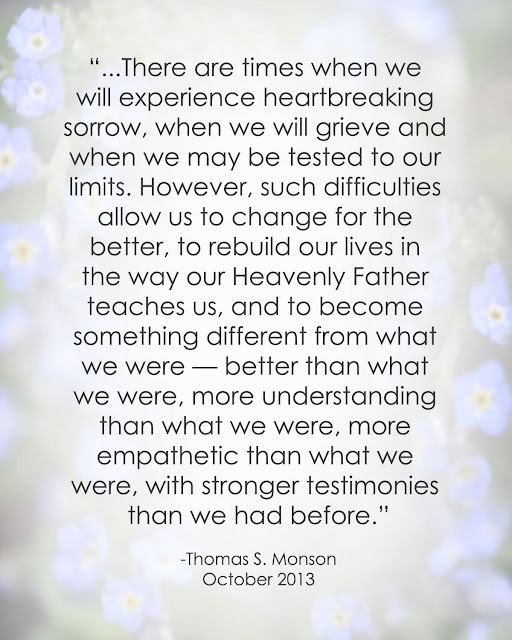 To answer the initial concern of maintaining our faith and hope even during trying times, I'm going to let President Monson sum things up. Whether your blessings are pouring out like obvious rays of delicious sunlight or they are coming through a disguise of frightening rain and thunder, please remember that God love you. He will never leave you alone. And like President Monson said, you will be a better person for it. Hang in there and hold your head high. You're going to make it. Today's sessions of the Semi-Annual General Conference of The Church of Jesus Christ of Latter-Day Saints were exactly what I needed. I really felt like General Conference hit this topic on the head. There is still good out there! If we have faith, awesomely-wonderfully-fabulous things are possible. Never stop believing. 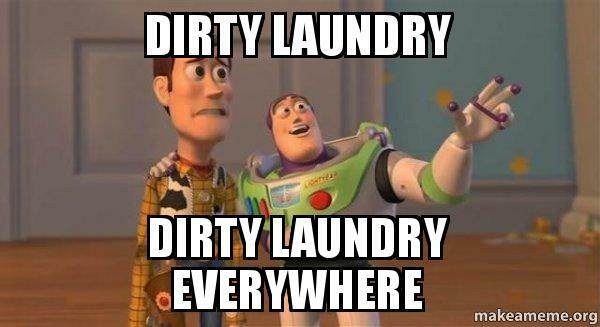 Walking down the hallways at school, it feels like all the filth of this world is caving down on me. And not just the literal litter that people throw on the ground or the gum they stick under the desks [Ewww!]. Spiritual garbage abounds, and that scares me more than germs ever will. Sometimes, I feel like I have about as much influence as a goldfish in a sea of great white sharks. But, Elder Packer's talk reminded me that I am making a difference. No matter how hard it is to deal with the social woes of high school, and no matter how much I get teased for being a Mormon, it won't matter in the end. 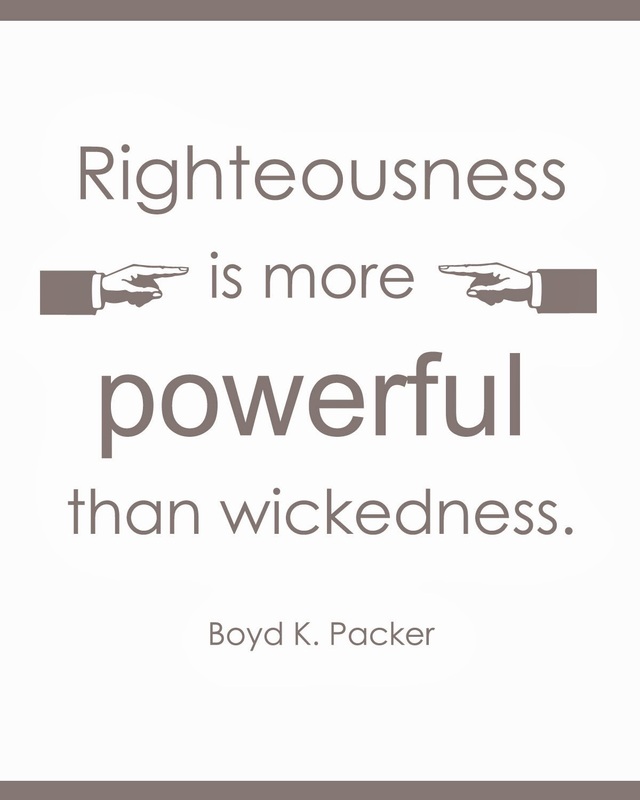 Righteousness always prevails. So let them mock, or as Nephi says, let them "point the finger of scorn" [I love that phrase. :D]. As long as I'm on God's side of the line, it won't matter what anyone else thinks. I can't wait for tomorrow. 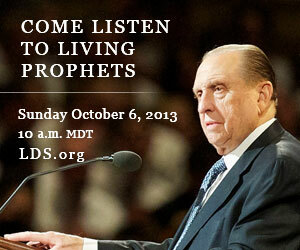 What a blessing it is to be able to hear the words of the Lord through the voice of living prophets! 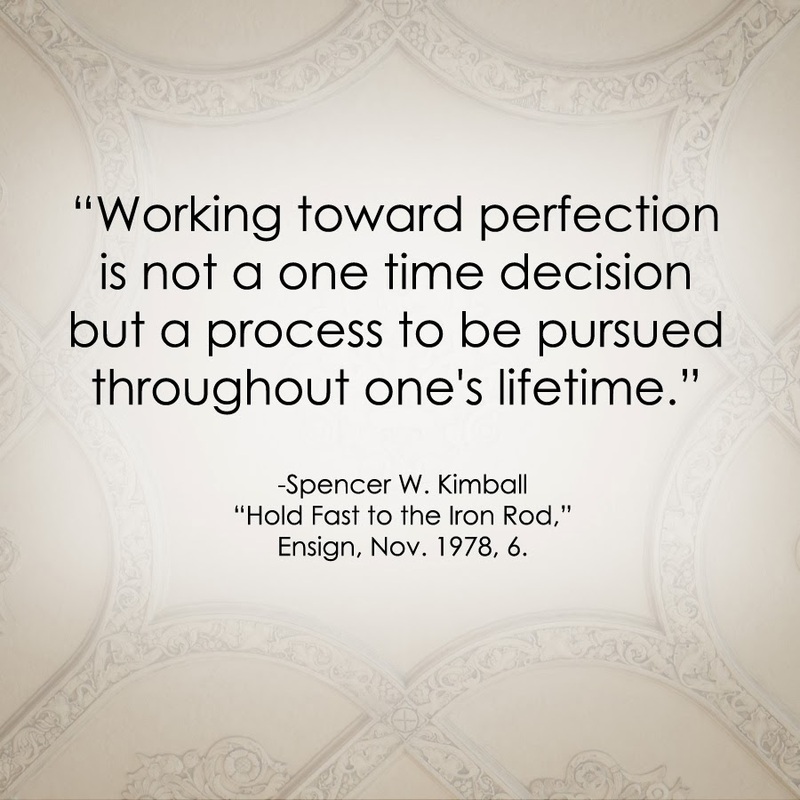 What were your favorite parts of General Conference? I love getting to watch church in my pajamas. I love feasting on the words of Christ [and super delicious junk food]. I love eating ice cream out of the carton with a spoon. I love girl's night out during priesthood session. But most of all, I love the spirit that I feel. Even though I have a fantastic love for sleeping in and consuming vast quantities of snacks, I've found that there is more to getting ready for conference than making the sticky buns and rolling out of bed at 9:59. You have to prepare yourself spiritually. I'm no expert. [In fact, I'm quite far from it. I'm just a teen with a blog who loves ice cream and the gospel]. However, I have learned something in my short mortal experience that I'd like to share. "If we teach by the Spirit and you listen by the Spirit, some one of us will touch on your circumstance, sending a personal prophetic epistle just to you." So, the first part of that equation is a guarantee-- I'm pretty sure the speakers at conference will be speaking by the power of the Holy Ghost. But what can I do to make sure I am listening by the spirit? 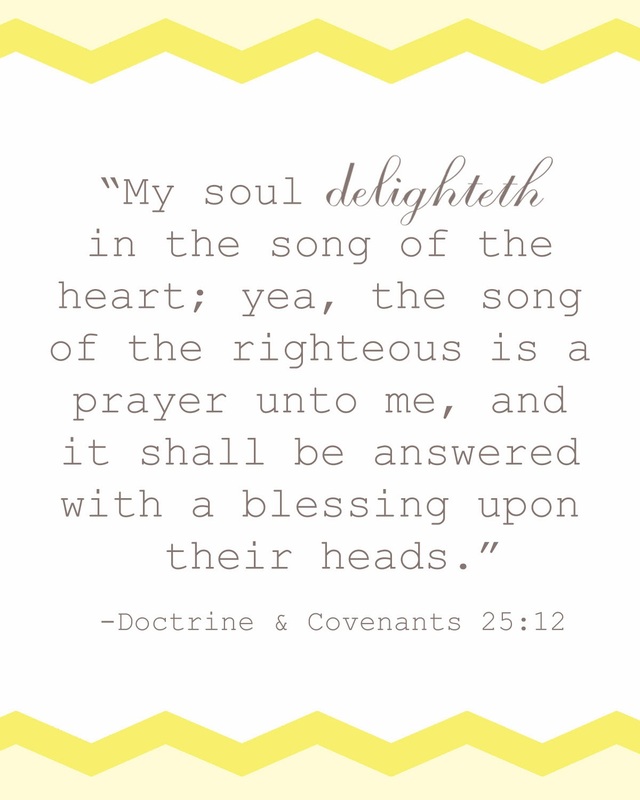 I've found that when I come to General Conference with a question I have prayed about and pondered, the spirit that is felt throughout the meetings helps me be more receptive to the promptings of the Holy Ghost that usual. Even though no one says "Sarah, The Lord wants you to know _______________. ", or there's not always a talk that directly covers what I'm going through, I always come out with an answer. 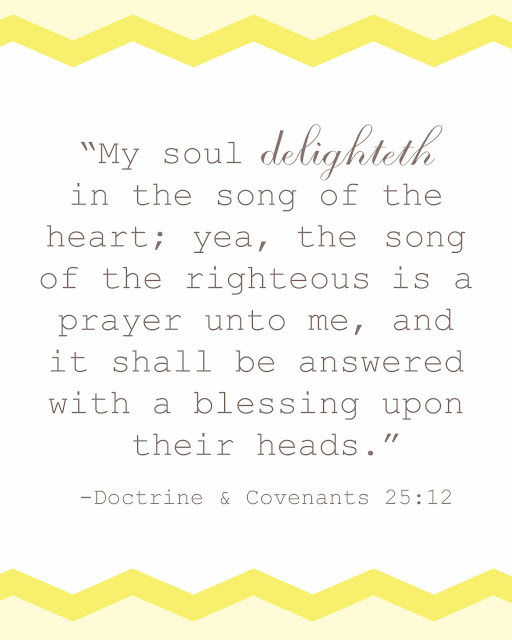 I think it's because listening to the talks at conference invites the Holy Ghost into my heart and my home and makes finding answers to prayers much easier. It fills me with a sense of God's love and a desire to do good. In short, I guess conference opens the window of my mind so that God can dump in all the blessings he sees fit. The other thing that helps me is journaling. I have the short term memory of Dory from Finding Nemo. Thus, I know that if I have any hope of remembering the promptings of the Holy Ghost, I have to write them down. Sometimes I Photoshop my favorite quotes. Sometimes I jot a quick note in my planner. Other times it's just a little sticky note on my bathroom mirror. Whatever it is-- I challenge you to do something to help you remember the revelation and inspiration you get this weekend. You won't regret it. It seriously makes a world of difference. I can't express enough how excited I am to be able to listen to the counsel of the Lord through the instrument of our living prophet, Thomas S. Monson as well as other church leaders. 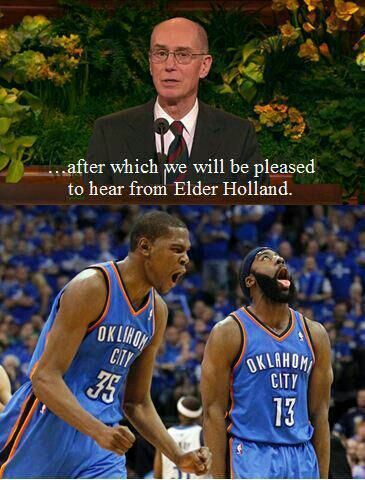 I know the messages that will be shared at General Conference are for our good. They are for our time. They are for us. As we thoughtfully prepare for the meetings this weekend, I know we will be blessed beyond measure. 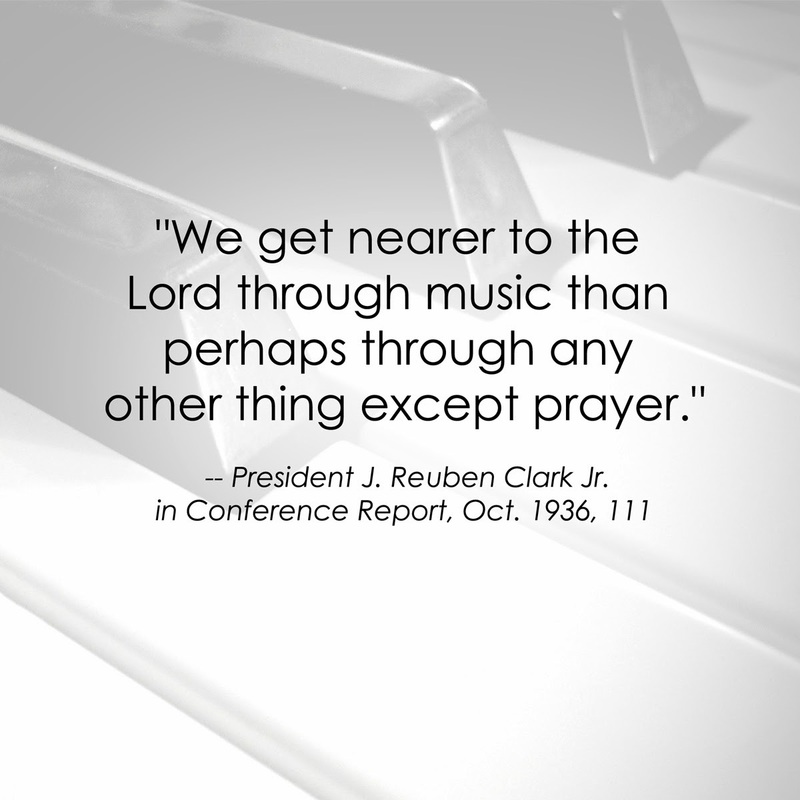 What are your General Conference traditions, and how do you prepare to hear the word of the Lord? Leave me a comment. I'd love to know!